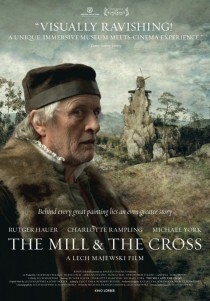 Submerging oneself in Lech Majewski’s The Mill and the Cross is a fascinating and totally original experience. 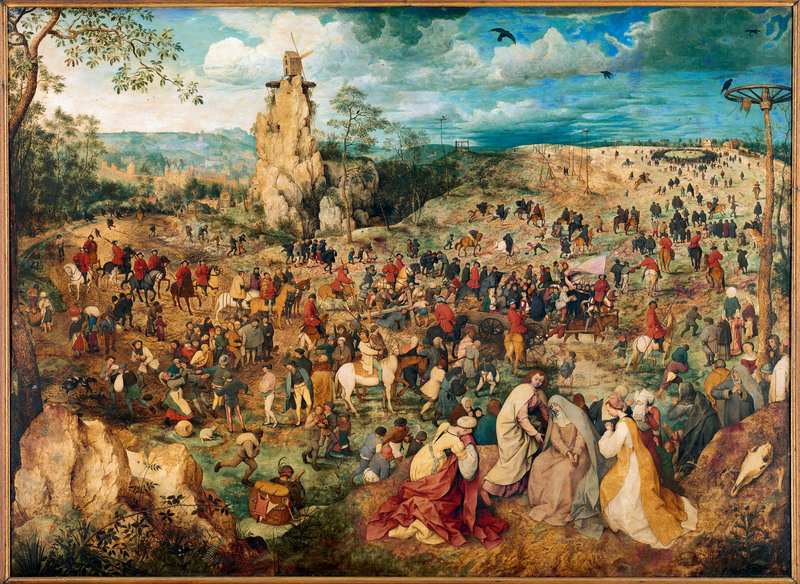 This drama starring Rutger Hauer, Charlotte Rampling and Michael York brings to life the painting “The Procession to Calvary” by Pieter Bruegel the Elder. Painted in 1564, Bruegel’s masterpiece depicts Christ carrying the Cross set in a large landscape. Christ’s suffering is set against religious persecution in Flanders in the 16th century. You can admire the painting here. Director Majewski takes inspiration from Michael Francis Gibson’s book, “The Mill and the Cross”, a detailed analysis of the painting, published in 1996. A mesmerising piece of cinema. You can find more information on this Polish-Swedish co-production on Wikipedia and IMDb. Ignore the IMDb rating – the masses are not to be trusted! I totally enjoyed this , thank God, a bit different movie. Ps: don’t know how u found me, but the timing is perfect. Thanx . I really need your blog, I’m über tired of stupid / movies I already saw. Thank you. I must see this film. Fascinating to me, to live inside Bruegel’s painting. Brilliant premise. Hi, I saw this film a couple of months ago. I loved the colors and atmosphere, and the art historian enjoyed the historical detail. But though I am tolerant of the strange, I did find it a bit difficult to ‘hang on’. Maybe I need to see it again 😉 Like your selection overall though! Very happy to read you’re back in business! Thx! Thanks for the nice comments, Mr. & Mrs. Behaeghel! Think we have the same tastes. That’s comforting! Great blog. Keep it up. I agree. Loved this film! LIke stepping inside the painting. Thanks for visiting my blog, Shinky. This movie is on our agenda for tonite. Great blog! I’ll visit often. Oh my…not a typical blockbuster, junk food movie for the masses… I can’t wait to see this! I had never heard of this movie until I read your blog. I watched in awe. I could listen to Rutger Hauer (Bruegel) telling the story of his painting for hours. The best type of comment we like to hear. Thank you! We also highly recommend https://wonderfulcinema.com/2013/01/22/werckmeister-harmoniak-2000/. This looks and sounds quite interesting. Probably watch it sometime soon this week! Thanks for the post or I probably would have never heard of it! OMG this LOOKS incredible…again a another film that has quietly avoided my radar. Will definitely watch even if just for the visuals….